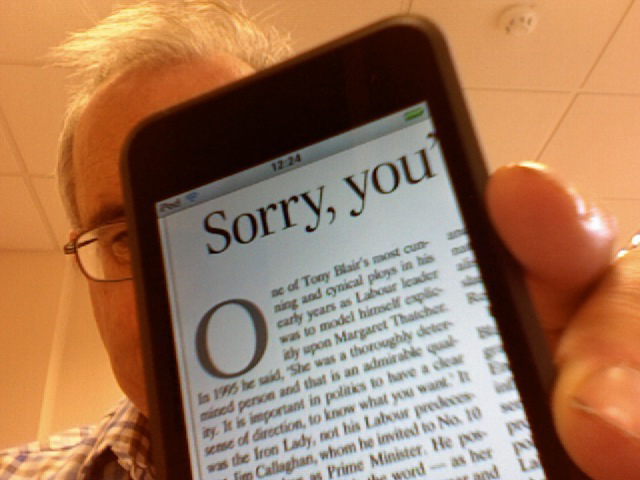 The sharpness of the Apple screens makes the text very crisp and readable. These devices are soon going to become a very popular reading platform, and the Exact Editions system, being a pure-web representation of print, works straight out of the box. Its hard to believe that the web can work so well on such a small device.